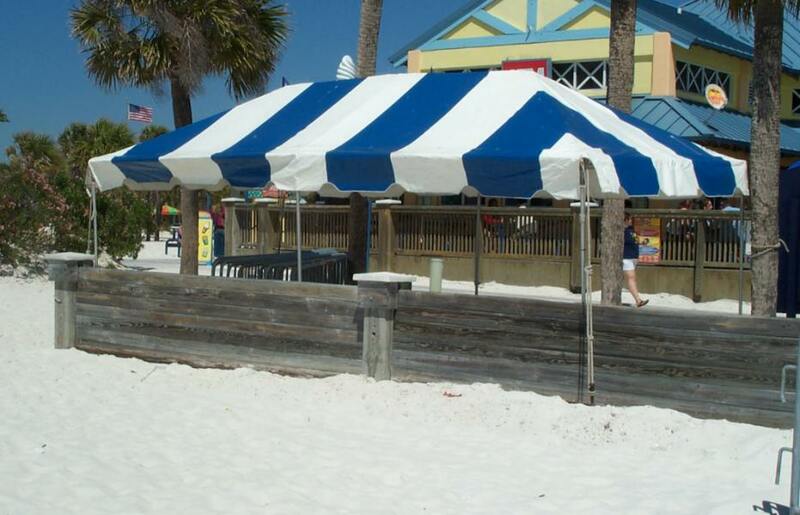 Frame supported tents require no interior poles and are self supporting. by securing them with weights. They range in size from 10' x 10' up to 40' x 100'. Below are just a few samples of frame tents we can supply for your special event. Click on each thumbnail below for a larger view.